Naomi Jordan Cook | Transforming Lives |Getting Into Action | Small Business Coaching What is Getting a Coach Really About? Getting a coach is so much then what you may thing. I’ve been asked what is coaching? and what is getting a coach really about? Well there is so many different definition about what is coaching and getting a coach. I was asked once, what team I was coaching. Getting a coaching in my definition is discovering and developing the hidden talents that is within. My belief is that everything you need and want is already in your space. Your space that you own. Sometimes feeling loss not sure what purpose do I serve in this life. Simply saying what is it I need to do next? There is periods in our life where need to find support. One way of having support is getting a coach. When getting a coaching, may fail if there is no effective opening to the person that is being coached. Adults may think that someone else wants to control their life. Getting a Coaching is about supporting “you” the person to make right decisions and choices in life, to see the situation in a different perspective and not to control a person’s life. If you ever feel that you as a person is not being open, then you must tell the coach of what you are feeling at the moment. 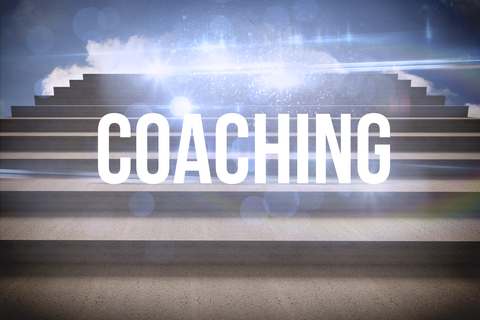 Remember, when you are getting a coach; the coach is there for your development process. What to look for in getting a coach? Coaching may fail if there is no effective opening to the person that is being coached. Adults may think that someone else wants to control their life. Coaching is about supporting the person to make right decisions and choices in life, to see the situation in a different perspective and not to control a person’s life. If you ever feel that you as a person is not being open, then you must tell the coach of what you are feeling at the moment. Remember the coach is there for your development process. Getting a Coach will start to have the focus to improve, but it should not make the person that he/she is being forced to do something that he/she is not willing to do. The coach should have the permission to start create once a new subject matter is brought into the space. Coaching will never be effective if that is what the person feels. To have an effective coaching relationship, it should first be established through partnership. Resistance will happen whenever a person is forced to do something. If the person being coach does not want to acknowledge a situation or subject such as poor time management skills. Its not the coach to coach on that area unless the permission and partnership is given to start to coach on the subject matter time management skills. The coach must always realize is this an area that the client is seeking to be coached through. When I am coaching a person, I make the person feel comfortable and safe in the relationship. I ask questions to find out what is it they want there coaching session experience to be. One of my question how do you want me to hold you accountable. I do not make the client feel that they need to do something against their will. Coaching is not controlling, but it is partnership for improvement. Coaching will highlight areas in the client life that can be valuable. This is for client to acknowledge. It is really important for me to establish a good first impression because the potential client will either resist or willingly open themselves to the changes that they can have. I have started with other individuals in life transformational coaching and small business coaching. One thing, I can say coaching will yield the results that a client is looking for. Letting the client know you are recreating your space right now and any moment you choose to re create the space you are in. For more about Naomi Jordan Cook Transformational Coaching in Life or Business you can contact at anytime filling out the web form or sending an email at info@naomicook.com. This is what getting a coach is really about?